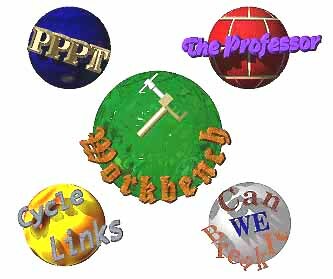 "To boldly repair what few have repaired before"
The Workbench PPPT Professor Cycle Links Can we break it? Unsure of what all this means? want to know how to navigate The WWW Bike Repair Shop? We claim no responsibility for any injuries, or damaged equipment as a result of using this site. Use this site at your own risk.